Paris (AFP) - France and Germany on Sunday condemned Saudi Arabia's execution of 47 prisoners, including a Shiite cleric, voicing concerns over growing tensions in the Middle East following riots in Shiite-dominated Iran. 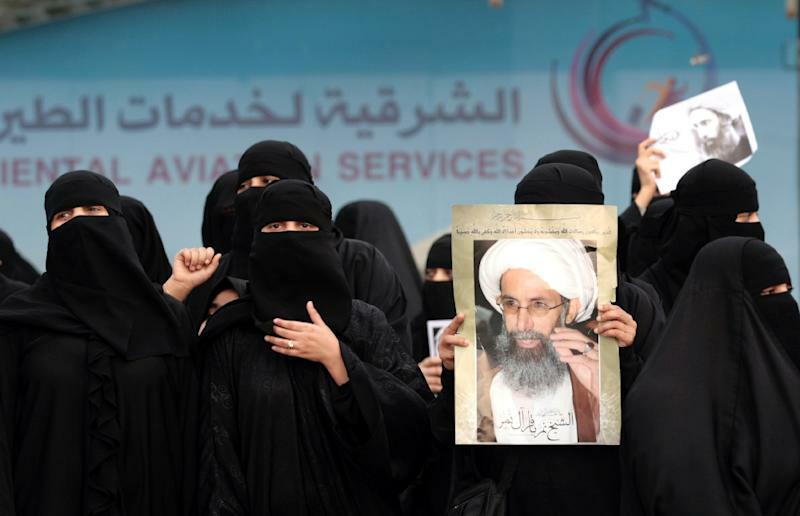 France "deeply deplores" Saturday's mass execution, including that of Shiite cleric Nimr al-Nimr, the foreign ministry said in a statement, calling on leaders in the region to "do everything to avoid exacerbating sectarian and religious tensions". France opposes the death penalty "in all places and circumstances," it said, in comments echoed by Berlin. "The execution of (imam) Nimr Baqr al-Nimr reinforces our current concerns about the growing tension... in the region," a German foreign ministry spokesman told AFP, saying the death penalty was "an inhumane punishment that we reject in all circumstances". Britain, which is careful to protect deep trade and investment links with Saudi Arabia, also reiterated its opposition to the death penalty in a statement which avoided mentioning Nimr directly. "The UK opposes the death penalty in all circumstances and in every country," a Foreign Office statement said, noting that Foreign Secretary Philip Hammond "regularly raises human rights issues with his counterparts in countries of concern, including Saudi Arabia". Tobias Ellwood, Minister for the Middle East, later said the British government had expressed "disappointment at the mass executions" to Saudi officials and that he was "deeply disturbed by the escalation in tensions in the last 24 hours in the Middle East". But critics urged Prime Minister David Cameron to speak out directly on the issue, with rights group Reprieve saying Britain "must not turn a blind eye to such atrocities and must urgently appeal to the kingdom to change course". Nimr was a driving force behind anti-government protests in Saudi Arabia in 2011. His execution, along with other Shiite activists and Sunnis accused of involvement in Al-Qaeda attacks, sparked demonstrations in Iran, Iraq and Bahrain as well as among Shiites in Saudi Arabia's oil-rich Eastern Province. In Tehran, furious protesters ransacked the Saudi embassy on Saturday after setting it alight.